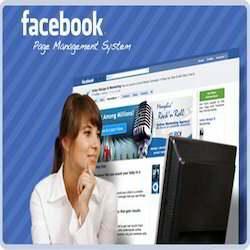 We are a leading Service Provider of facebook page management from New Delhi, India. We offer our clients Facebook Page Management. In this we manage the complete page of our clients, update the page on daily, weekly basis, update your customers with new offers, interact with existing customers, create Facebook app and also answer your customer queries. We ensure that every minute detail is taken into consideration while executing the services. Our offered services are widely acknowledged by our clients due to its reliability, timely execution and flexibility.